Bagicha in Jashpur District of Chhattisgarh is situated just 60 kms towards the west from the District head quarters Jashpur Nagar. This town is 328 kms from the western-side of the Raipur State capital. Bagicha which is also a tehsil includes 436 Villages and 85 Panchayats, and is bounded by Batauli Tehsil, Lundra Tehsil, and Mainpat Tehsil to the western side; while, Sitapur Tehsil lies to the Southern side. Some other important cities or tehsils that surrounds Bagicha are the City of Ambikapur, as well as the Simdega City, Jaspur and Gumla, Sarguja and Netarhat are the very close tourist destinations at this town. 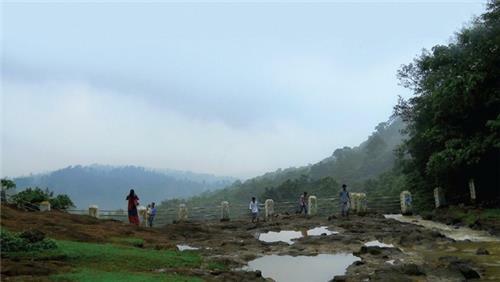 Bagicha has latitude of 22.9663 to the North and longitude of 83.6428 to the south, with an elevation of 619 meters (above sea level). This tehsil is surrounded by rivers, waterfalls, springs, as well as the mountains and caves, that most of these lies in the Jaspur Tehsil. Apart from these, there are wildlife sanctuaries that are very near to Bagicha Tehsil. This city of Bagicha remains too hot during summer. The maximum day temperature is approximately between 26° C to 43° C. While the minimum or average temperatures during January is about 15° C; while in February, the temperature is about 19° C; in March and April month, the temperature is usually 24° C and 29° C respectively; and in May, the minimum temperature will be 33° C.
As per 2011 Census India, the total population of Bagicha Tehsil was about 10,427. Out of this, males constitute about 5,454 and female population was approximately about 4,973. The total literacy rate was about 78.11 percent; Male population was about 85.53 percent, and population of female was about 69.90 percent. The language spoken at this place includes Hindi and Chhattisgarhi. Bagicha is one of the excellent tourist destination located in the Chhattisgarh State. Though this city doesn’t have any attractions by itself, this city is famous for its surrounding places. When you visit this tehsil, you can give a visit to Jaspur, where you can enjoy at backwaters; as well as the Kunkuri. One can also visit Ambikapur that is near to Bagicha; also, you can watch the heritage or culture of Gumla when you visit this place. Likewise, there are many such tourist destinations where you will definitely have a lot of fun. In Bagicha Tehsil, probably you may don' t have much to shop like any other villages, tehsils, or cities; but, you can definitely purchase many items at this place, as there are small and big shops located in Bagicha tehsil. You can buy blankets, handicraft items, stationery, shoes or any other items from the local market. The active services in Bagicha tehsil has more to offer. You can find services like hospital and ambulance services, Banks and ATM services, as well as Hotel and Catering services, stationery and petrol pumps, oil and gas agency, telephone services, saloons, beauty parlors, courier services and some other services as well. Healthcare in Bagicha tehsil is not just limited to only the local and surrounding residents, but also for the tourists who visit to many attractions in and around Bagicha Tehsil. With all the modern equipments and medical ailments, as well as excellent operation theaters, one can get good treatment at this place. Patients from Bagicha often opt to get treated at Jashpur Nagar which lies close to tho this city of Chhattisgarh. In Bagicha Tehsil, you will be served with both veg and non-veg cuisines. Probably, you will love having Chicken Pakoda, Handi Mutton, Mushroom Chilli, as well as the Nargis Keema, or the Chicken Hot Garlic, Fish Banjara, Mutton Biryani and other exotic dishes. You can have both Indian and Chinese dishes at various popular restaurants. One can get regular buses to this city, and no railway stations. However, tourists can visit the nearest important Kumhari railway station at a distance of 13.5 KM. If you wish to travel by flight, choose the nearest airport that lies at Raipur, the state capital of Chhattisgarh. You can also move by cabs or taxis to reach this Bagicha Tehsil.